Time for some amazing food!! 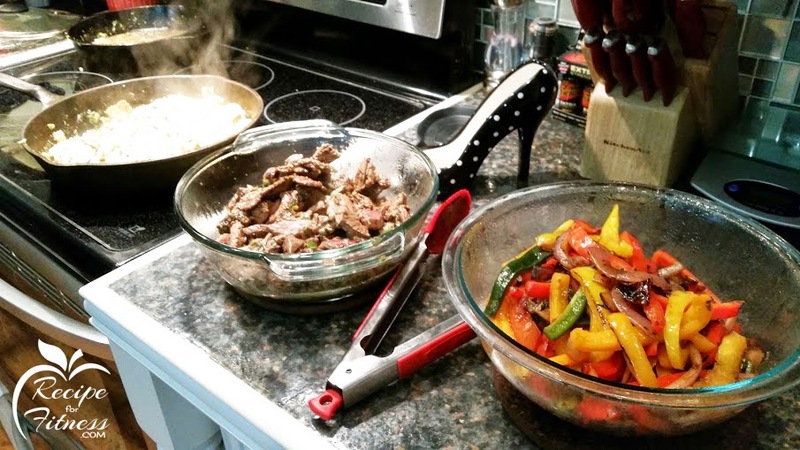 This recipe is so easy, and you can make it with beef, chicken... whatever you like! It's so good, we actually made this 3 nights in a row last week! And I never have leftovers! I didn't make many changes to the original recipe (found on Pinterest), but tweaked it enough to make sure the flavors really popped! Give it a try and let me know what you think!! And here's an extra tip... make them with these fajita veggies!! OMG, so good!!!! 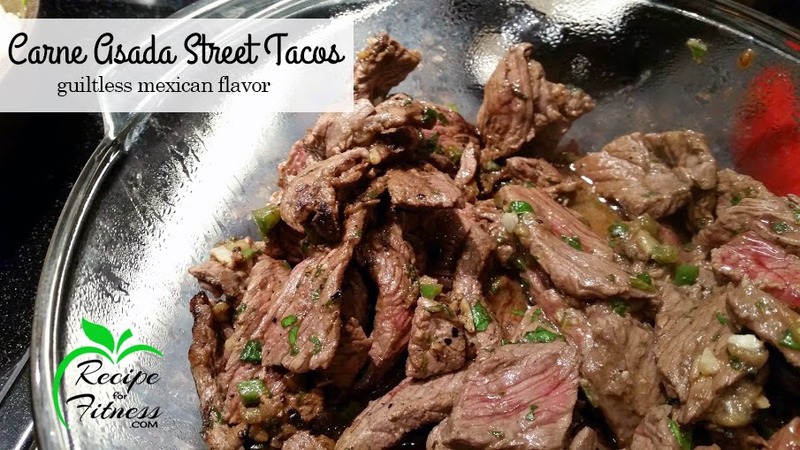 "Craving street tacos? Got ya' covered!! These come together quickly, taste phenomenal, and are a real crowd pleaser! Plus, gluten free! They can be dairy free, too, just replace the cheese with a dairy-free alternative, or eliminate it." Combine marinade ingredients in a bowl or large baggie. Add meat. Cover or seal. Refrigerate 1 hour, but not overnight. 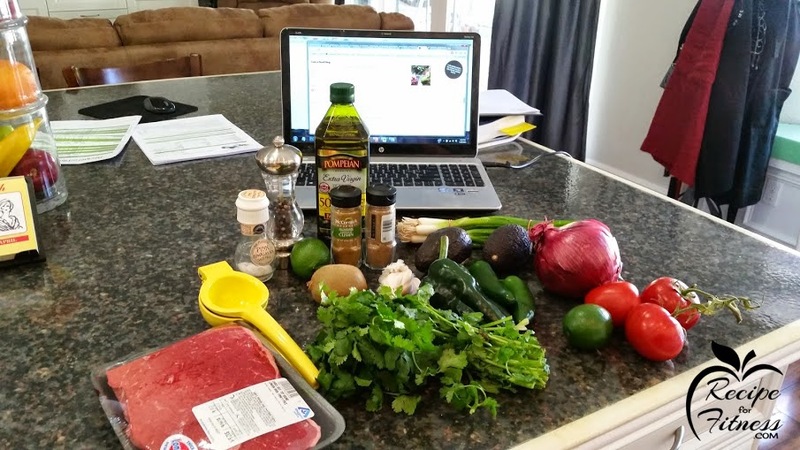 The kiwi will break down the steak and turn it to mush if you marinate overnight. When ready, heat a cast iron skillet over medium high heat. 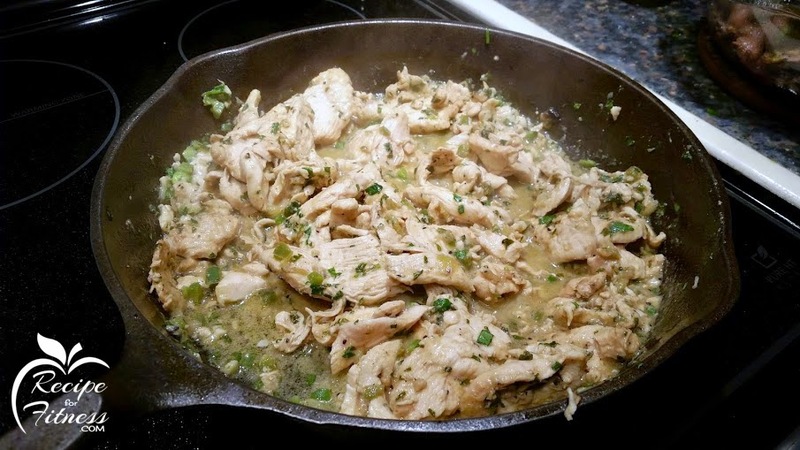 Cook in batches, using minimal marinade - this will give you that beautiful street taco char. If you use too much marinade in the pan, it'll still taste amazing, it just won't have that browned char. 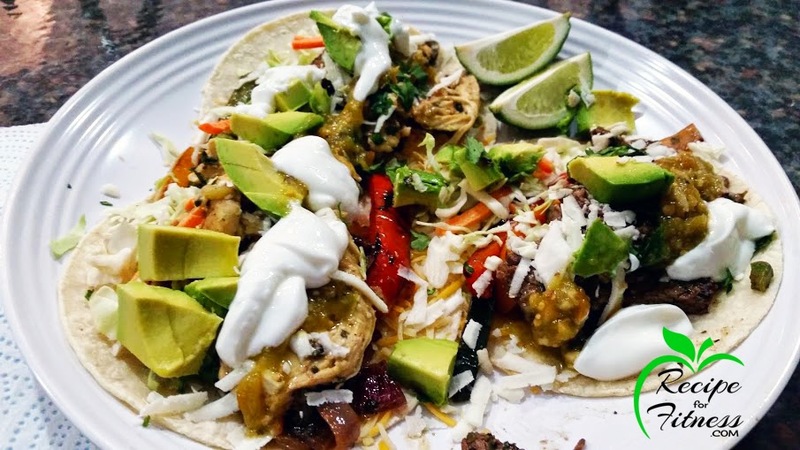 Serve with corn tortillas, shredded cabbage, shredded cotija and/or cheddar cheese, plain greek yogurt (in place of sour cream), taco sauce, pico de gallo, lime juice... whatever you like. 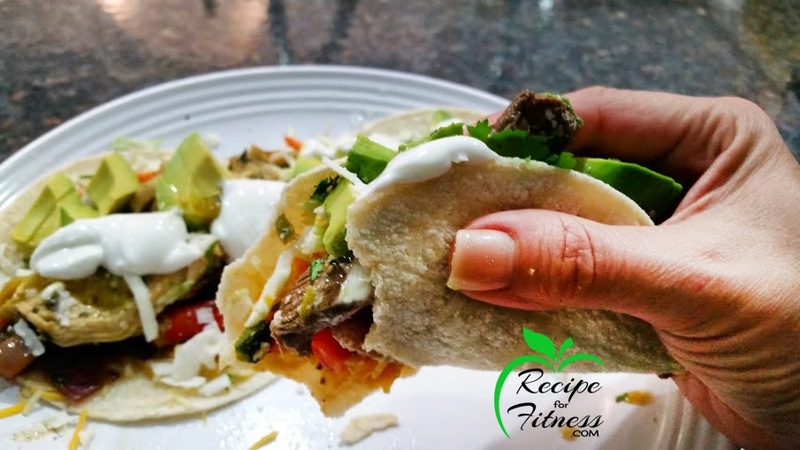 **Prepare this with these fajita veggies! YUMMY!!! And this pico de gallo. 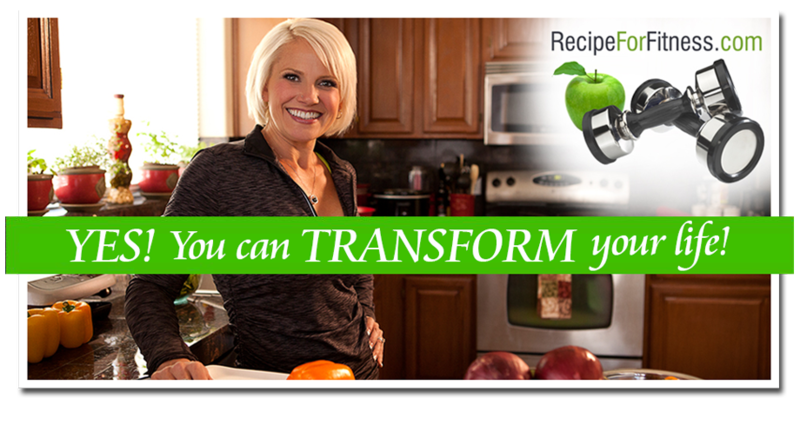 **Prepare this with lean steak, or with chicken - or both! 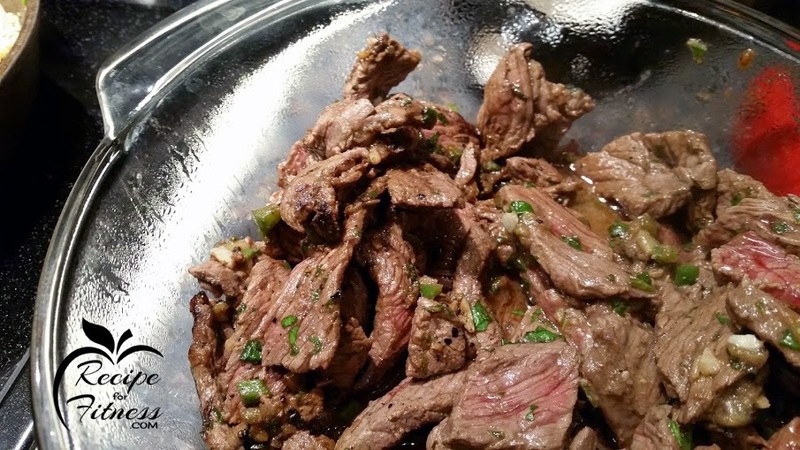 I used london broil, as it's an inexpensive but lean cut. **Chilies... I like to use a combination of jalapeno and pasilla, but use whatever kind you like. Remember to carefully wash your hands after handling chilies, or wear gloves. Lol. **TIP: Bake the tortillas and have tostadas! Look HERE for directions. Marinate your meat. 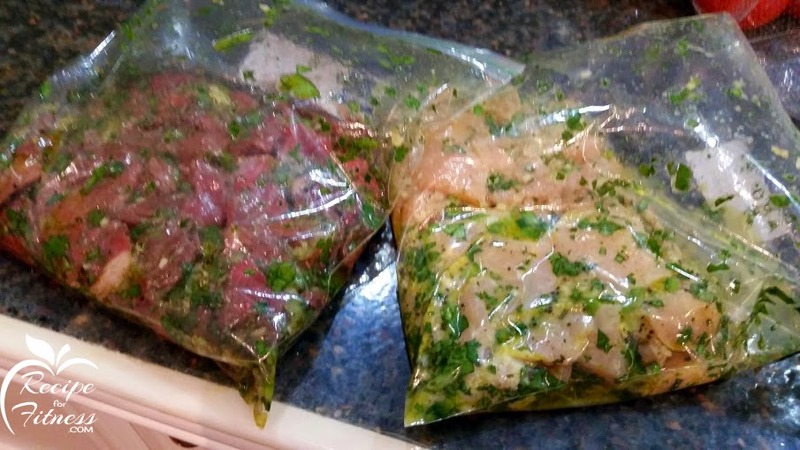 I made a double batch of marinade and split it between a pound of beef and a pound of chicken, all thinly sliced. 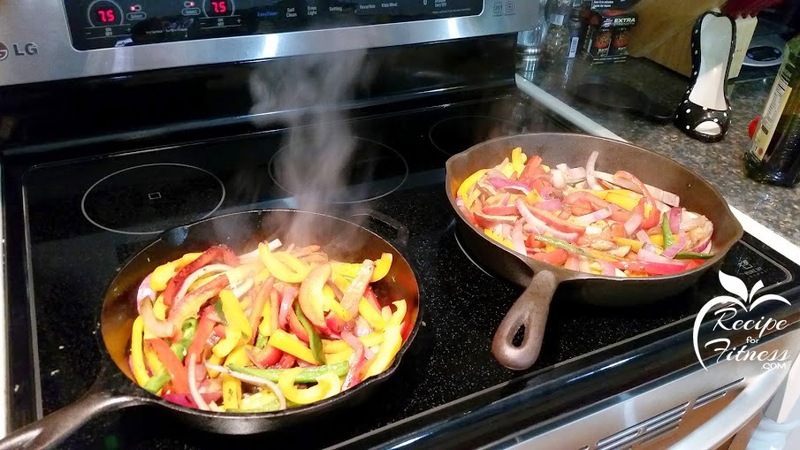 Use the link above for the recipe to make these incredible fajita veggies! Cook the chicken in the marinade for extra juicy meat! Cook the beef with minimal marinade to get that beautiful char on the meat! Made this for tonight's dinner and it was delicious! Definitely a keeper! Thank you! Things have been... rough. I posted a bit about it yesterday, and will post more as I'm able to share. Best Wishes!!! Looks really delicious, thanks for sharing the recipe.